Child Development Account Singapore (CDA) - Which Is The Best? Hey, if the government wants to reward you financially for having kids, why not find out how you can make the best of it? Expecting a baby and want to ensure you have your finances sorted? Start with a child development account (CDA). CDA falls under the Singapore government’s child development co-savings (also known as Baby Bonus) scheme. It is a measure put into place to support couples in their decision to have more children and to relieve them of some financial burden. How does Child Development Account Singapore (CDA) work? The Baby Bonus comes in the form of a cash gift, CDA First Step grant and Government matching to savings in the child’s CDA. Find out if you are eligible for Baby Bonus here. Then submit your application for the Scheme from as early as two months before your estimated delivery date. Once approved, you will receive the cash gift within 7 to 10 working days of your child’s birth registration or submission of your application form. Specify which bank you would like to open your CDA with (DBS Bank, OCBC or UOB) in the application form. The CDA will be opened within three to five working days of your baby’s birth registration. For babies born after 24 March 2016, the government will give a First Step Grant of S$3,000 deposited directly into the CDA. Within two weeks, they will also match that initial sum by depositing an additional S$3,000 into the account. 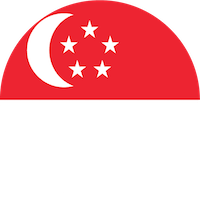 Parents will still have to deposit an additional S$3,000 of savings into the account and can continue to deposit money into the account until the child turns 12. But right off the bat, you will be receiving a sizeable sum for bringing your child into the world! These savings can be used for your child’s education and healthcare, which includes optical. For the full list of expenses that are covered, see if it falls under their approved institutions. Which bank is best to open a Child Development Account (CDA)? All the banks offer the same interest rate of 2% for CDA. But each bank comes with different benefits for you to consider. OCBC has the best cashback and merchant tie-ups. 1. 3% cashback for over-the-counter medical transactions with minimum S$600 monthly spend on the OCBC 365 card. This is great for doctor’s visits but only if you are already an active user of the OCBC 365 card. 2. Get 10% discount on all Full Month Packages and Gift Vouchers at Sweetest Moments, except Treats 4U and De Petit packages, with a minimum spend amount of S$250 (excl. GST). If you are the kind who loves planning events, then this will benefit you. 3. Get S$15 off when you spend a minimum of S$99 on your first purchase as a Fairprice Online customer. POSB came in second with fewer merchant tie-ups but better upfront freebies. 1. Get 4 Baby’s First Words books worth S$47.60 upfront. 2. 3% cash rebate on local or onsite Medical Spend with a minimum of S$500 charged either to your POSB Everyday Card or PAssion POSB Debit Card. But do note that this is not cashback, but a cash rebate (points). 3. Get 1 package or gift voucher at Sweetest Moments for free when you buy 10 Full Month packages (Classic/Premium) or gift vouchers. Lastly, was UOB, which had only one perk. UOB offers 2% per annum interest on your child’s UOB CDA with no deposit cap on all balances. OCBC has a cap of $36,000 (and 0.05% p.a. thereafter), while POSB has a cap of $12,000 for the 1st and 2nd child (and 0.05% p.a. thereafter). This will only be a benefit to you if you decide to deposit a lot of cash into the CDA. Lastly, should a death occur, the bank will close the CDA and the money will be returned to the nominees (if any) or the government. What did you think about this article on child development account (CDA)? Let us know in the comments! Read how this single mum kept her finances in check to support her little one.